Just keep telling yourself “It’s not real”. Some Texas motorists have been surprised to see road signs with very strange messages lately. The signs have been warning of zombie outbreaks. More than likely this is the work of individuals with more humor than sense. Just in case it isn’t the work of stoners after a George Romero Marathon, we at FanaticSpace.com would like to offer a few road safety reminders. This entry was posted in Horror and tagged George Romero, Horror, Humor, List, Road Signs, Zombies on February 3, 2009 by 2xKnight. Pardon Me Boys; is this the Chattacon Choo Choo? Once upon a time, Chattacon was held at the Read House in Chattanooga, Tennessee. It was a good-sized regional convention with attendance in the 1500 range. I don’ t know what their numbers were this year, but it seemed sparse. Chattacon now makes its home in the Chattanooga Choo Choo Holiday Inn. The Choo Choo is a converted railway station on 24 acres, with a decommissioned wood-burning locomotive on display. (I’m told the train was built in 1880, and last used by the Smoky Mountain Railroad in 1940s) There are passenger cars that have been converted into sleeping rooms. The accommodations are spread out, but the staff is helpful and cheery. We were in “Hotel III”, and aside from having a wait for the bell cart and attendant, it was a painless check-in. This entry was posted in Books, Fandoms, Fantasy, Horror, Other, Reviews, Sci-Fi, Uncategorized and tagged Authors, Chattacon, Chattanooga Choo Choo, Cons, Fan, Fandom, Fandoms, Filk, Sci-Fi, The Shining, The Warriors on January 29, 2009 by Shiny1. Dragon*Con is an extravaganza of sci-fi fandom held annually over Labor Day Weekend in do wntown Atlanta, Georgia. As of 2008, it spans four hotels and boasts an attendance of more than 30,000 fans. Rumor has it that when the numbers swell with day pass folks, the count can go as high as 50,000. It can be a little overwhelming to attend a convention with 30-50,000 of your, er, um, closest friends. This year, the addition of the Sheraton, and the completed Marriott renovation, made the long Labor Day weekend a much more pleasurable experience than in the recent past. With a cacophony of choices in a wide variety of fandoms, you can’t see everything. Lines for many popular media based events are long, and give you no guarantee of entry even after you’ve waited for frakking ever. For me, the choice is simple. I don’t try. That has it’s own pitfalls, though. If I had tried to get into the Firefly panel with Nathan Fillion and supporting cast members, I would have been able to get in. Instead I watched it on Dragon*Con TV . This entry was posted in FanaticSpace.com, Fandoms, Fantasy, Horror, Opinion, Other, Reviews, Sci-Fi, TV, Uncategorized and tagged Bedlam Bards, Brobdignagian Bards, Carrie Dahlby, Cons, Dragon*Con, Fandoms, Filk, Firefly, Geek, Ghost Hunters International, Luke She, Luke Ski, Nathan Fillion, Open Filk, Opinion, Parade, Reviews, Ridikulus, Sci-Fi on September 18, 2008 by Shiny1. I’ve wanted to see The Host from the first time I saw the trailer. I was finally able to get hold of it recently. Could it really live up to that kind of promise? I was kind of skeptical, because that trailer is awesome. This had to be an example of the ads being better that the movie. Right? This entry was posted in Horror, Movies and tagged Horror, Monsters, Movies, Opinion, Reviews, Sci-Fi, The Host, Trailer on June 25, 2008 by 2xKnight. The town of Barrow Alaska goes without sunlight for 30 days every year. This natural phenomena is caused by living inside the arctic circle, a tough and unforgiving place. In an environment that harsh 30 days without sunlight is bad enough, but things are about to get worse. This entry was posted in Horror, Movies and tagged Comic Book, Comic Books, Comics, Horror, Josh Hartnett, Movies, Reviews, Vampires on June 10, 2008 by 2xKnight. 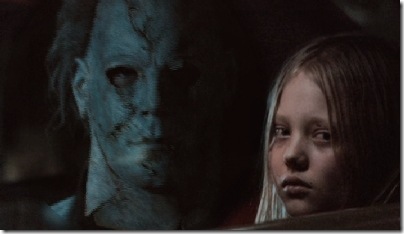 I was looking forward to seeing Rob Zombie’s version of Halloween . I even wrote a post about how excited I was. I thought Rob Zombie was good enough to take on a classic slasher flick and do it justice. Boy was I wrong. This entry was posted in Fandoms, Horror, Movies, Reviews and tagged Annie Brackett, Daeg Faerch, Danielle Harris, Dr. Loomis, DVD, Fandoms, Halloween, Horror, John Carpenter, Malcolm McDowell, Michael Myers, Movies, Reviews, Rob Zombie, Special Edition, Special Features, Tyler Mane, Video on December 22, 2007 by 2xKnight.